Located at the southern suburb of Chengdu, Wuhou (Martial Marquis) Memorial Temple was built as a tribute to Zhuge Liang, the Martial Marquis of Shu during the Three Kingdoms Period. Zhuge Liang was a wise hero of ancient China. Chinese respected him to such an extent that after his death many memorials were raised to him across the country. Of all the Wuhou Memorial Temples throughout China, the branch in Chengdu is the most influential, as it is the sole temple in memory of both King Liu Bei and his Prime Minister Zhuge Liang. It was combined with the Temple of Liu Bei at the beginning of the Ming Dynasty. The current temple was rebuilt in 1672. Surrounded by old cypresses and classical red walls, the temple evokes a feeling of nostalgia. Spreading over an expanse of 37000 square meters (9 acres), the temple is divided into five sections. The five subdivisions of the temple include the Gate, the second Gate, followed by the Hall of Liu Bei, and the corridor. The Hall of Zhuge Liang forms final part of the temple. 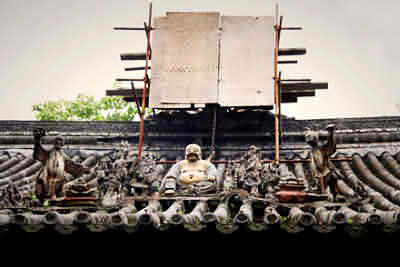 The tablet at the entrance of Wuhou Memorial Temple Some sculptures on the roof of the building. 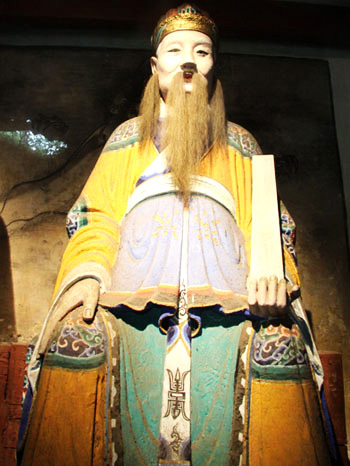 The sculpture of Zhuge Liang. 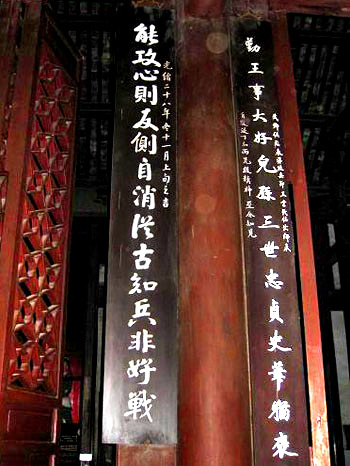 A famous couplet in the Wuhou Memorial Temple. 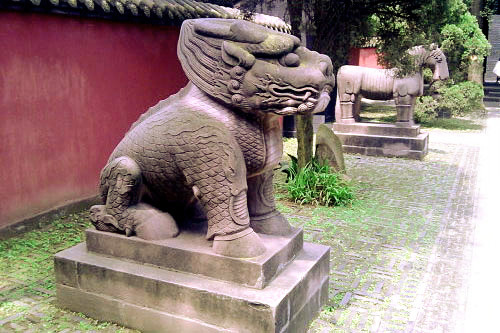 Stone sculptures are outside of temple. 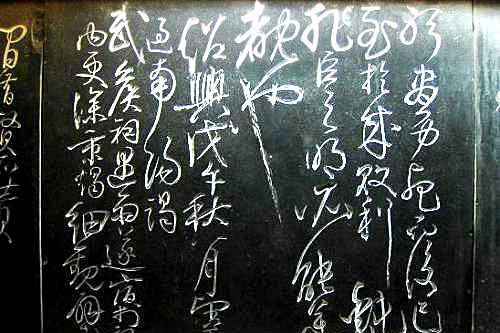 Calligraphy in the temple. Inside the temple there are a number of artifacts including forty-seven clay sculptures of Shu civil and military officials. But the most valuable relic of all is a stele 3.6 meters (12 feet) high and 0.95 meters (3 feet) wide. This is called the "Triple-Success Stele." The first success stands for an article written by Pei Du, a famous minister of the Tang dynasty who served four consecutive emperors in succession. 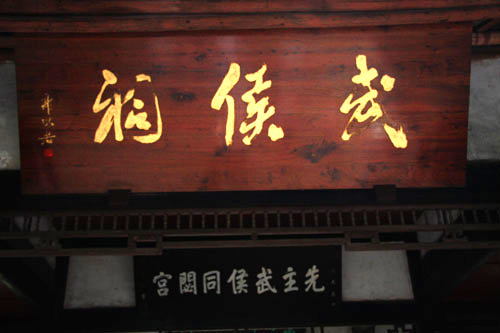 The second success stands for the calligraphy of Liu Gongquan who was one of the finest calligraphers in Chinese history. 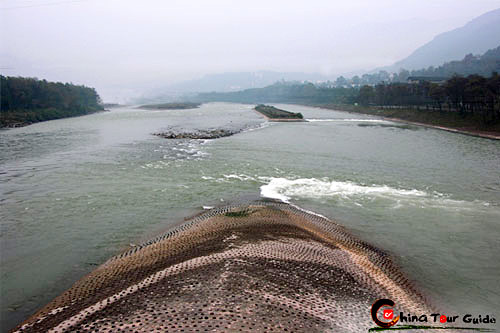 The third success stands for the great achievements and high morals of Zhuge Liang. 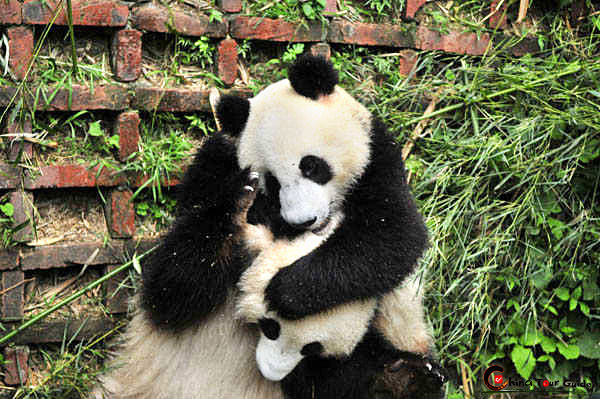 These Chinese heroes and their works have been remembered for generations. 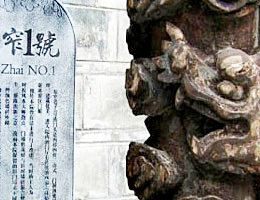 The stele's memorial ensures that they won't be forgotten. The temple is a window into the great personality of Zhuge Liang. It highlights his charming personality, his dedicated service to the people under him as well as his remarkable intelligence. 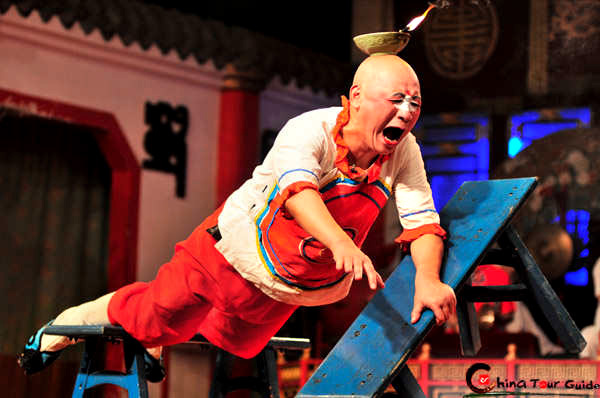 He can be called the "Solomon of Ancient China."